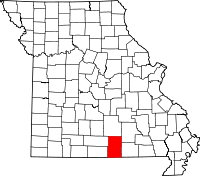 To obtain copies of vital records for Howell County online, the state of Missouri has partnered up with the VitalChek service to provide that option. Birth and death records available through the service are dated from 1910 to the present, and marriage and divorce records are dated from July 1948 to the present. Credit cards can be used as the payment method. To obtain records locally, the vital records department of the Howell County Health Department is located at 180 S Kentucky Street in West Plains, MO, and is open throughout the week during regular business hours. The Health Department website provides all the required applications, as well as provides detailed instructions on how to apply for records, who qualifies to receive them, fee schedules for each type, and more. The Department encourages those who wish to inquire further to email.